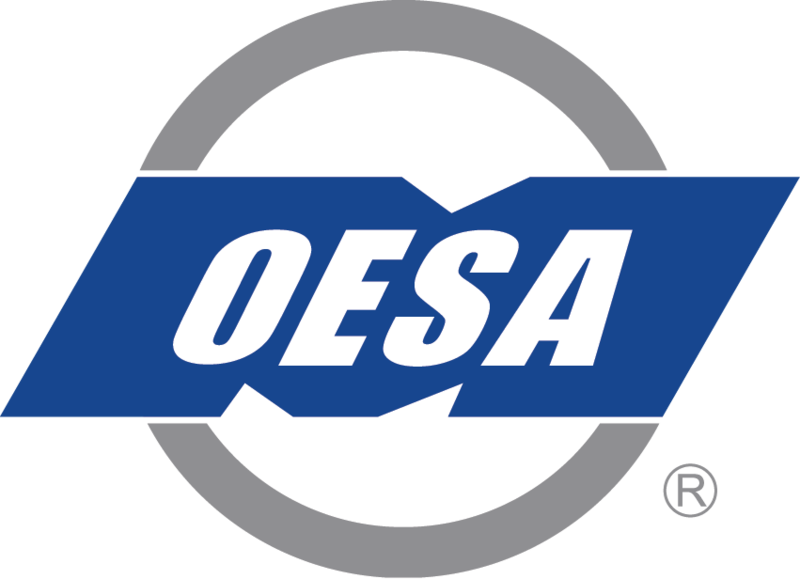 OESA supplier membership dues are based on your company's North American annual sales to OE light vehicle manufacturers and their suppliers. (Aftermarket, heavy duty and non-automotive sales should not be included.) Please check the box next to the OEM and OE supplier sales revenue of your company. Membership dues for affiliate are a fixed price, regardless of annual revenue. Membership term is 1 year and is billed annually. OESA Supplier Members are organizations engaged primarily in the: (1) manufacture of components, modules, software and systems (herein called parts) for use in the manufacture and assembly of automotive original equipment; (2) provision of product engineering, design, testing and prototyping services integral to the manufacture of OE parts; (3) provisions of machinery, tools, dies and molds for the manufacture of original equipment parts; and (4) provision of major materials (such as steel, aluminum and plastics) used to manufacture original equipment parts in North America. Affiliate Members are not parts suppliers but are companies that provide services dedicated to the automotive industry and have sufficient interest in the work being performed by the Association. They provide content and thought leadership at events, meetings, on oesa.org, and in publications. Please provide the following information as accurately and completely as possible. List the names and titles of the company executives to be designated as the company Member Representative (MR) and Alternate Member Representative (ALT). OESA strongly suggests top-level executives. The designated representative will be the primary contact for engaging their company with OESA and keeping membership current. Please upload a file listing your company's North American automotive senior executives. Include names, titles, phone numbers and an e-mail address for each person. This information is used exclusively to ensure OESA activities and services reach the appropriate individuals within your company's roster. OESA keeps e-mail information confidential. Your company membership includes all employees from your company and there is no limit or additional charge to add to your company's roster. Affiliates: What are your primary services or area of expertise? What percentage of your total business is represented by the above automotive OE products? OESA Supplier members, please identify specific OESA activities in which you are interested in participating. Need Help? If you have questions about OESA membership or are having difficulty with this form, please contact Brenna McCann 248-430-5970 or bmccann@oesa.org. How did you hear about OESA?